This is the food of choice for our General Manager here at Arcata Pet in raising fruit fly cultures for is Dart Frog collection. 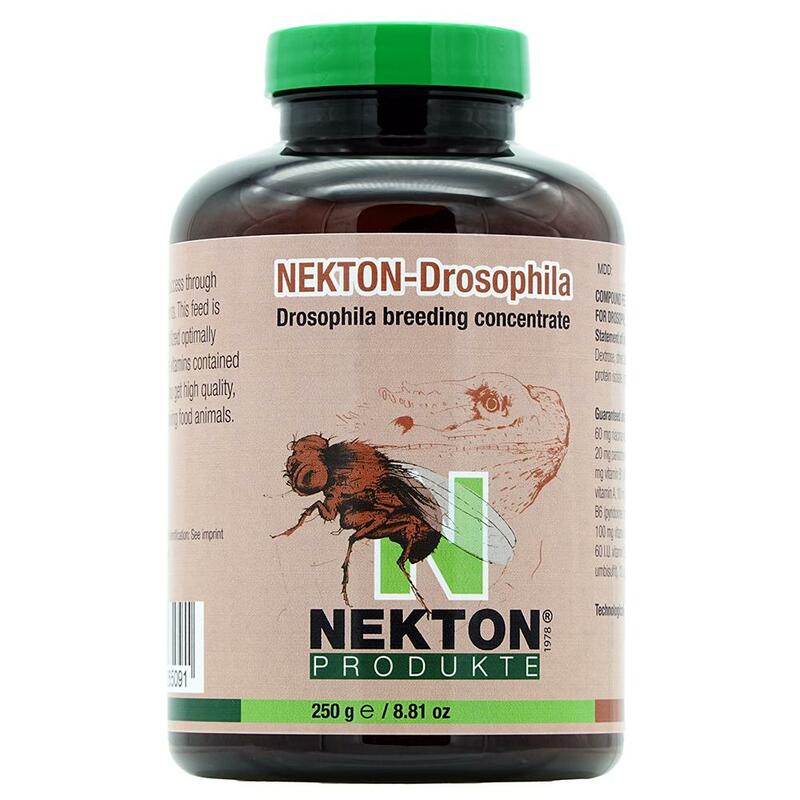 NEKTON-Drosophila is a prefabricated compound made from different vitamins, yeast and one colorant. With this breeding concentrate, a high quality and effective basis for breeding fruit flies as a source of nutrition for reptiles is produced within seconds, simply by mixing it with warm water. Healthy, high quality, large feed animals develop thanks for the vitamins contained. These fruit flies are significantly better perceived by the reptiles when feeding due to the colorant contained in NEKTON-Drosophila. 1 part NEKTON-Drosophila is mixed with 1.5 - 2 parts warm water by stirring. NEKTON-Drosophila should be stored dry and out of sunlight, between 15° and 25° C (59° and 77° F). DO NOT STORE IN THE FRIDGE !!! Clean drinking vessels and food containers daily with NEKTON-Desi-Natural to guarantee hygienic and clean feed!